Hello, I'm non-native GMAT test-taker. 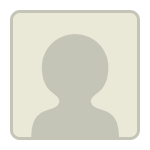 I need your help because I want to take an online course and I am stuck between e-gmat and the exampal? When it comes to studying for the GMAT, there are a variety of different options. Most GMAT Companies offer some type of free materials (practice problems, Trial Accounts, videos, etc.) that you can use to 'test out' a product before you buy it. 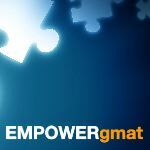 We have a variety of those resources at our website (www.empowergmat.com). I suggest that you take advantage of all of them then choose the one that best matches your personality, timeline and budget. 1) Are you just beginning your studies or have you been studying for some time? I would suggest you to go for Egmat as they have the best verbal course. And what you think about the quantative part ? When it comes to studying for the GMAT, there are a variety of different options. Most GMAT Companies offer some type of free materials (practice problems, Trial Accounts, videos, etc.) that you can use to 'test out' a product before you buy it. We have a variety of those resources at our website . I suggest that you take advantage of all of them then choose the one that best matches your personality, timeline and budget. Many Test Takers spend 3 months (or more) of consistent study time before they hit their 'peak' scores, so you might end up needing more study time than you have currently planned for. Regarding verbal resources, in addition to chatting with folks in this thread, take a look at the GMAT Club reviews for verbal courses, and also read through some GMAT success stories to see what materials have worked well for other test-takers. If you need any further advice, feel free to reach out. Good luck! - Most Live online courses have a similar experience to the old fashioned GMAT class, except you watch the tutor through a screen. When taking an in-person or live-online course we should make sure that we will have enough face time. - Exampal (my company) has a different type of course, online computer assisted customised learning. This uses personalised machine learning to monitor thousands of students, and provides you with the approaches that proved most efficient for each given question.